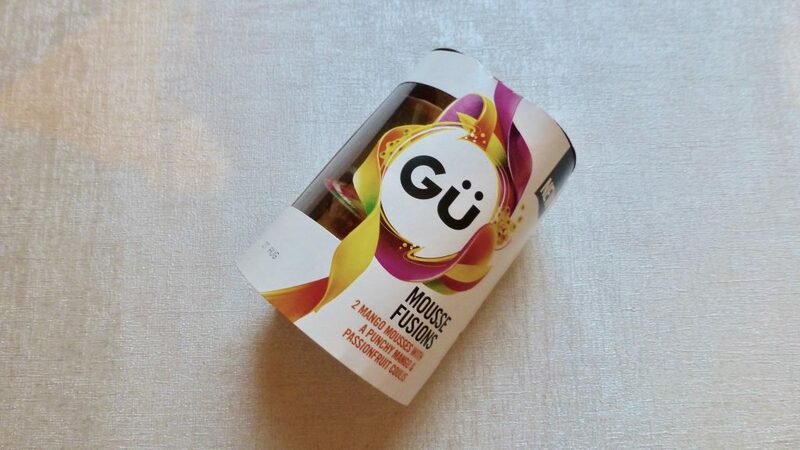 Fruity, moussey, indulgent, it can only be one thing, the new Gü Mousse Fusions. 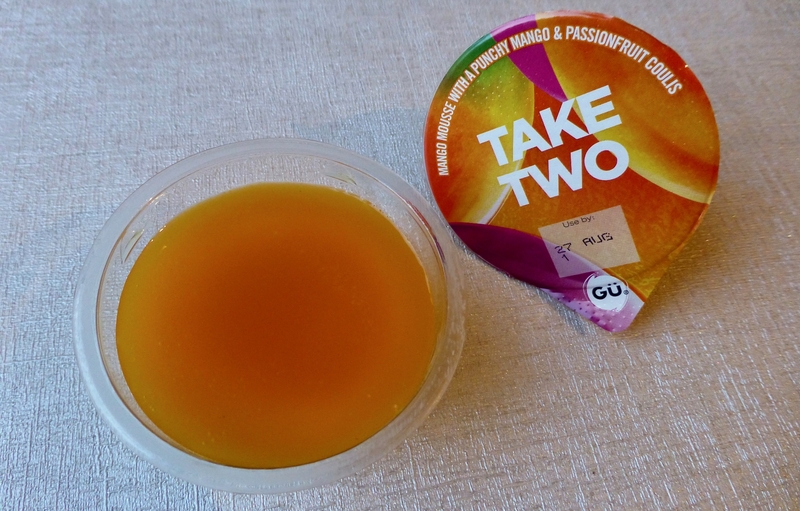 Yes that’s right Gü have another new dessert and it comes in three delightfully sounding flavours. Chocolate and Toffee, because frankly Gü cannot not do a chocolatey number, Mango and Passionfruit, and Strawberry for those where a more fruity one to appeals. All pots were on offer in Tesco for a joyful £1.00 and I opted for the fruity number, you know one of your five a day and all (if only). 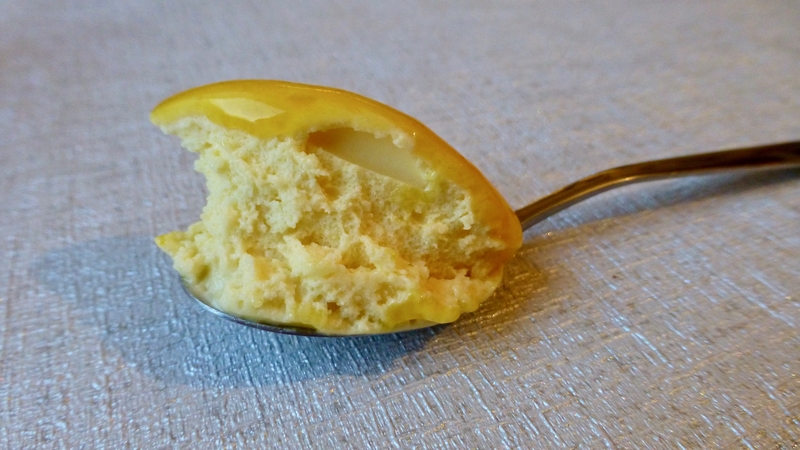 Glide into the punchy fusion of mango & passionfruit coulis, before being swept away in a luscious mango mousse. It seems that mousses are the done thing at the moment. 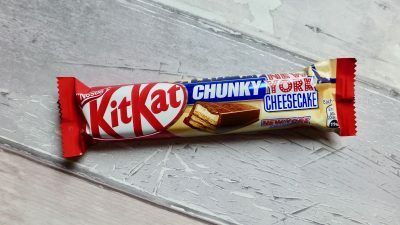 We had the bitterly disappointing Aero Heavenly that had nuts in all the wrong places, the ever so indulgent Muller Pud mmMousse and now these. 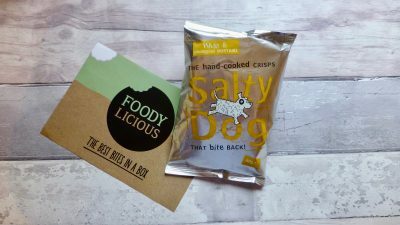 How will it fair in the taste test? Per pot: 130 kcal, 4.1g sat fat, 14.8g sugar and 1.6g protein. Look at that magnificent spoonful! Lighter than lighter this mousse had the perfect texture with a slight firmness to it. The mango and passionfruit coulis on the other hand was trying to make a run for it. Both had an exceptional tropical flavour to it and were absolutely divine. Sweet but slightly tart, it wasn’t too sickly and made a nice after dinner treat and would certainly cleanse the palette if you have had a particularly heavy meal. I have to say I am blooming impressed with these Gü Mousse Fusions. Nailed the flavour, they are keeping summer alive with the flavour of mango and passionfruit and although the pots are a nice size you are left wanting more. Like most mousses they aren’t vegetarian though. Gelatine. Which also found its way into their red fruit- topped cheesecake. Gü sadly seems to be opting for that (cheap ingredient?) route of late. The recent proliferation of mousses and gelatinous desserts does bemuse me a little. Maybe it’s a summery texture thing, or the fact that gelatine’s properties make it an easy solution to creating lighter, often lower-calorie formulae (e.g. muller lights using it as a thickener); the driving-down of calorie limits can only be so far achieved by product shrinkage after all. I really do strongly suspect gelatine is a cheap and convenient by-product myself. But this is all very much at odds with the current craze for veganism (no, I’m not a fan tbh. Happily veggie) and meat-free market growth. An increasing swathe of the potential consumer base is wiped out. As I said, I do find gelatine’s continued -even increasing- popularity with manufacturers rather baffling!